Indie Retro News: Gunfright - An Ultimate Play the Game Atari 8-bit port is complete! 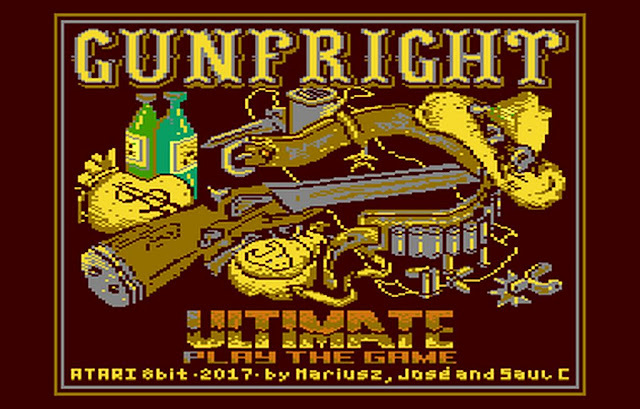 Gunfright - An Ultimate Play the Game Atari 8-bit port is complete! These last two weeks have been incredible for our site for the latest news as after yesterdays previous announcement of Ultimate Play the Game's classic 'Gunfright' being ported to the C64, C128 and Plus4, we now have the Atari 8-bit port to experience, released by Mariusz, Jose Pereira and Saul Cross. As mentioned before, this game was first released way back in 1985 and appeared on the ZX Spectrum, Amstrad CPC and MSX, but with a more recent C64/128 port which is actually based on this excellent Z80 to 6502 conversion. 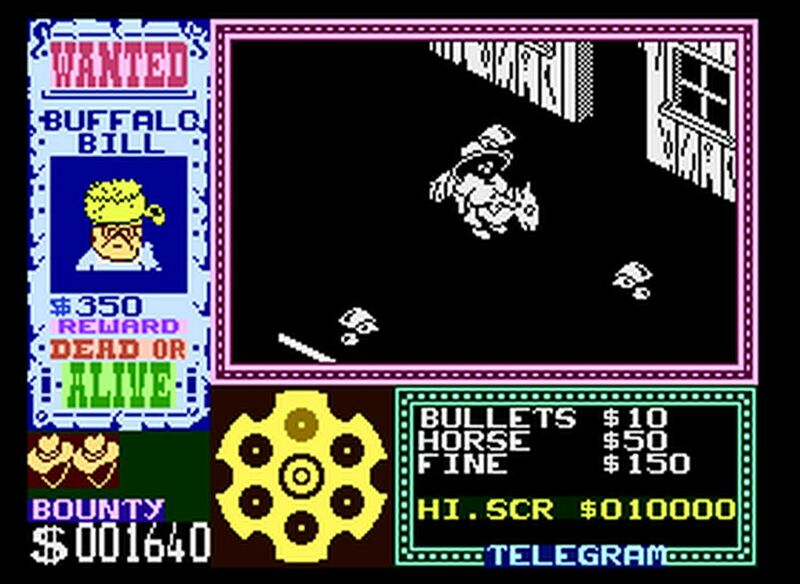 You can read our much bigger and more in-depth write up here for the C64/128 version which includes Gunfright gameplay information. But sufficed to say this Atari 8-bit port of Gunfright features music by Saul Cross, colour overlays and loading screen by Jose Pereira, and requires a 64KB RAM machine to play. It also works on both PAL and NTSC systems and supports CPU-upgraded Ataris.